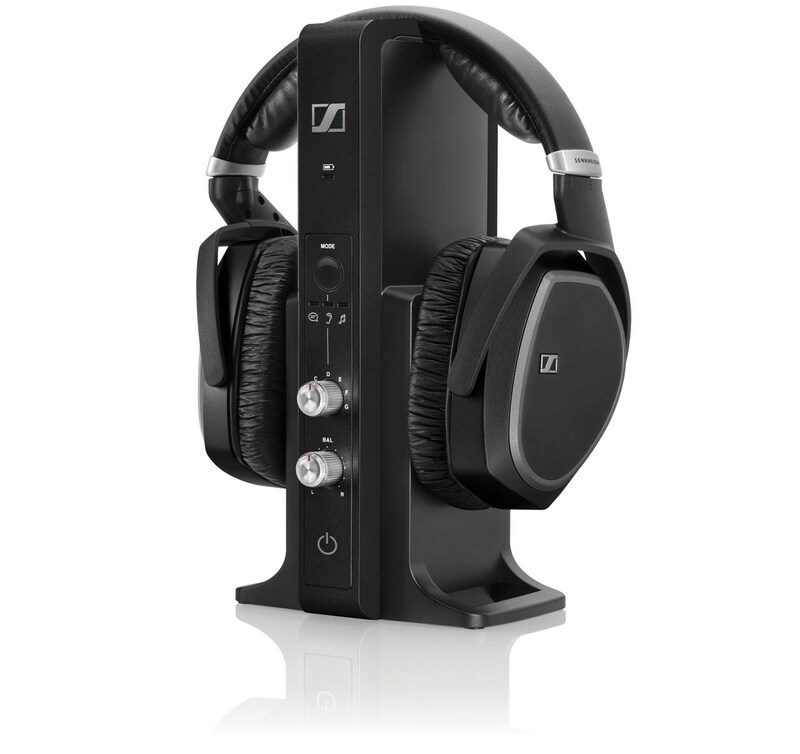 The Sennheiser RS 195 TV Digital Wireless Headset Headphones take these changes into account to provide exceptional sound that can be fully personalized to your hearing. Advanced sound technology offers simple and intuitive settings that enhance speech intelligibility and reproduce the slightest details of your favorite music. 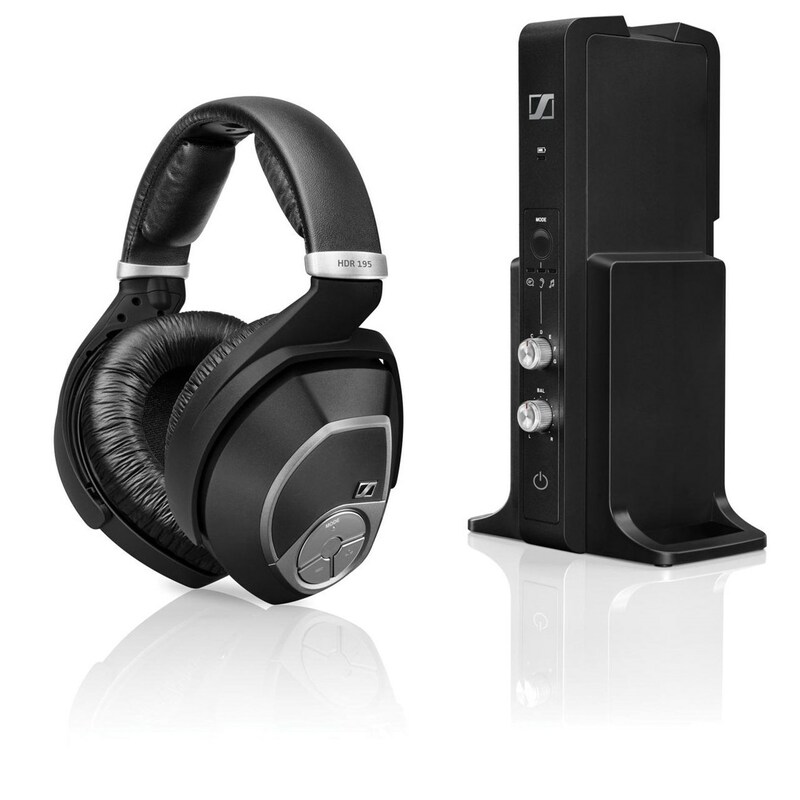 You will rediscover the subtle intensity of your favorite sounds with the Sennheiser RS 195 TV Wireless Headphones. You won't miss a single detail when watching TV and listening to music with the Sennheiser RS 195. The exceptional sound can be fully personalized to your hearing needs. Simply choose the most appropriate setting from the 7 available profiles to optimize your personal sound experience. The left and right balance control allow you adjust the volume in each ear. The RS 195 also gives you a choice of listening modes. The "Speech Mode" reduces background noise and enhances speech intelligibility, while the "Music Mode" reproduces music with an increased dynamic range to perfectly preserve the integrity of the original sound. 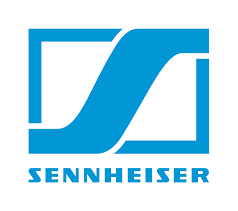 The Sennheiser RS 195 headphones are fitted with high-quality transducers that produce rich and detailed sound to please even the most demanding of music lovers. Innovative digital wireless transmission technology delivers a clear signal within a range of up to 328 ft (100 m). The RS 195 transmitter supports analog and digital audio inputs with the option of toggling. So, you are free to wander from room to room listening to your favorite music and TV programs. The headphones' ergonomic design is ideal for enjoying hours of comfortable listening. The RS 195 headphones are the result of a collaboration between two specialists in two different domains: Sennheiser, a leading acoustics expert for over 70 years and Fraunhofer Institute for Digital Media Technology IDMT which has developed signal-processing strategies based on hearing aid technology* for use in consumer electronics. Using their combined tech savvy, they succeeded in building unique sound settings that are perfectly adapted to the needs of individuals with mild-to-moderate hearing loss. NOTE: *This technology does not replace or function in the same way as a hearing aid and is not a medical product.